The Transporter Series is most commonly used for long-haul commercial trucking due to its long distance illumination, smooth and balanced beam pattern, and durability in even the most extreme driving conditions. 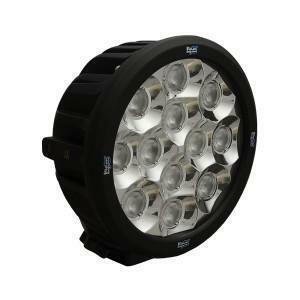 The Transporter is also available in multiple LED configurations to fit all of your lighting needs. Since the Transporter was first launched, it has held the title of “Most Raw Lumens per LED”, emitting nearly 500 raw lumens per LED. The Transporter is unmatched in terms of effective power and performance. Vision X Lighting provides Prime Drive Technology which controls temperature and dimming on your LED light. This technology allows you the ability to vary the intervals at which the LEDs turn on and off, effectively lowering the temperature and increasing the lifespan of the light.